The perfect storage solution for all those earrings, rings and charms. 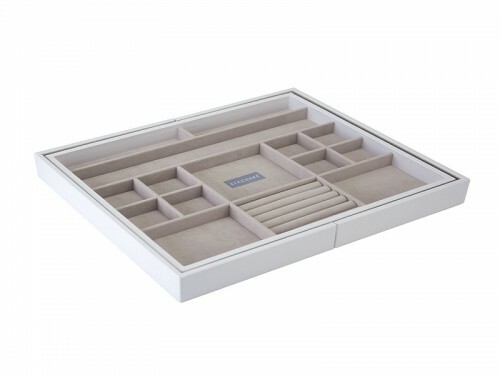 With 11 individual sections it’s the ideal way to keep on top of your ever expanding jewellery collection. 25 compartments for rings, earrings and small jewellery items – it’s up to you how you want to organise your jewellery. Stackers jewellery trays are aesthetically pleasing, space saving, and best of all, protect your jewellery from getting tangled and scratched. 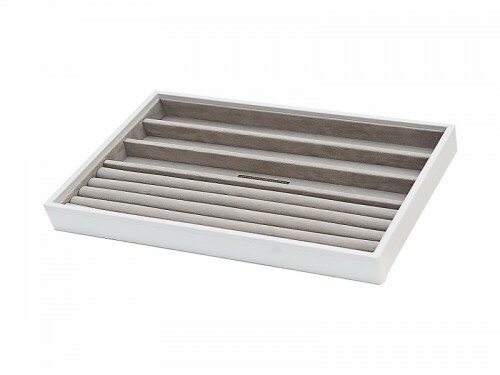 An expandable system that can grow along with your jewellery collection, mix and match with other trays with different compartments. 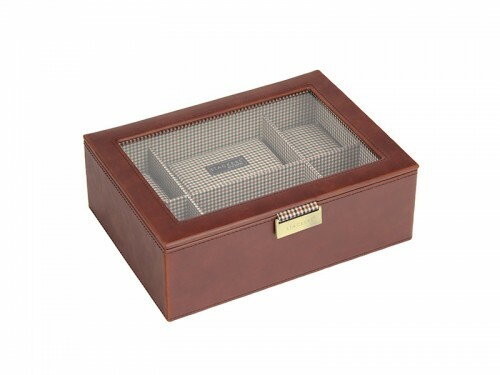 Compartments for bracelets and necklaces, and another for rings and studs. 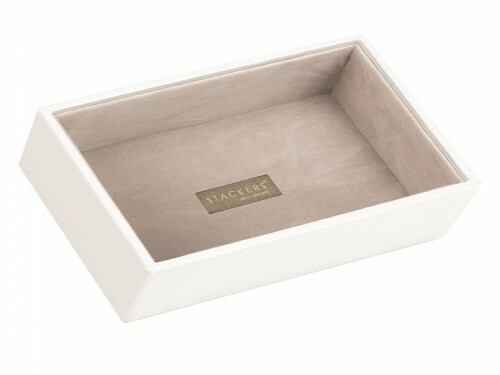 Stackers jewellery trays are aesthetically pleasing, space saving, and best of all, protect your jewellery from getting tangled and scratched. 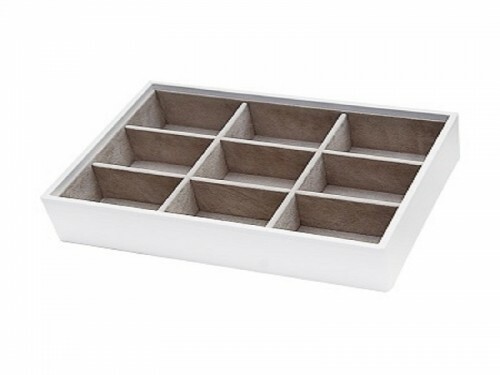 An expandable system that can grow along with your jewellery collection, mix and match with other trays with different compartments. For those larger fashion pieces such as bangles and necklaces, as well as watches and glasses, choose this spacious Mini Open Stacker. In white with a stone velvet lining you can keep your jewellery in luxury. The Jewellery Slider has adjustable sides to allow you to resize it to your space. 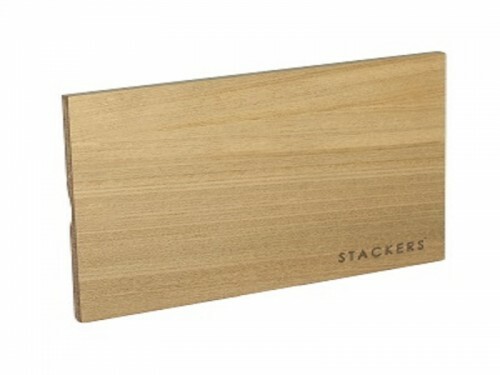 Available in medium and large so you can stay organised not matter what the space. Mini Stackers jewellery 3 piece set, comprising one deep open mini tray, one 11-section mini tray, and one mini wooden lid. An expandable system, Stackers trays are a great investment for your ever growing jewellery collection. Jewellery organisation and storage doesn’t get better than this. 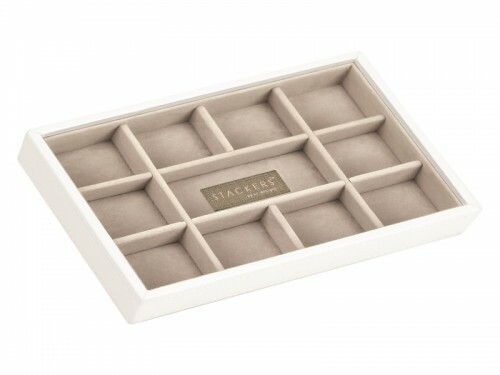 Stackers jewellery trays are aesthetically pleasing, space saving, and best of all, protect your jewellery from getting tangled and scratched. An expandable system that can grow along with your jewellery collection; mix and match with other trays with different compartments.